Legally each dog must have a passport, be micro-chipped and have a Rabies jab. Unfortunately so many locals don’t do this and neither do they have their dogs neutered – but nothing seems to happen to them. You have to have your dogs on a lead at all times, apart from in a dog park. This doesn’t seem to apply to locals. Dogs are not allowed on a beach, except for a designated dog beach. These are few and far between – if you can call them a beach anyway. Having said that, plenty of people do take their dogs on beaches. Particularly the locals – are you seeing a pattern here? 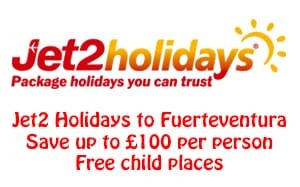 To answer the questions “Can I take my dog to Fuerteventura?” or even “Can I take my dog to the Canary islands?” then yes you can, but at a cost. Flying to/from the UK, dogs have to travel on a scheduled flight (which means British Airways, Iberia or Monarch I think) and they can only fly into or out of an airport with an animal reception centre. I think this means Gatwick, Heathrow or Manchester. Because of this the dogs go airfreight which costs a fortune. Dogs flying to Germany, Holland, Belgium etc travel as baggage with a passenger. Generally the cost is about the same as the passenger pays which could be as little as 39€. Small dogs can even travel in the cabin, in a suitable carry bag. I have heard of people flying to Belgium or Holland and being met by someone who has travelled by road across the Channel, which works out much cheaper. It is possible to travel by car and ferry here with your dog, driving through France and Spain and getting the ferry from Cadiz. There are also specialist animal transportation companies which can arrange this. There are so many dogs needing good homes here that finding a rescue dog is certainly not difficult. Fuerteventura Dog Rescue, run by volunteers, does s great job but it is an uphill battle. Hi JP, I found your video very helpful. We are planning on moving to Fuerteventura after the summer with our two small dogs, can you recommend as to where we can rent? That would be greatly appreciated any names of places or links or good websites or estate agents. Thankyou in advance. Finding long-term rental places is getting difficult. I will email you some links. I agree that a lot of locals appear to walk without the dog on a leash have you ever phoned the local police or guardia civil ? presumably they would have to respond? Incidentally we brought our dog over from Cadiz on the ferry. It would be an interesting exercise to see if they did and what they would do. I intended including driving and ferries as an option to getting a dog top Fuerte but that was a portion where the wind noise on the microphone was too bad unfortunately. I will add it to the written version. How did you find the ferry crossing? Did your dog have to go in a kennel on deck or could he stay with you? Yes the dog had to go in a kennel on the open deck but no problem with rain or spray & the kennels were of a good size certainly enough for a large springer type dog. Other larger size kennels were available on lower decks as well. Cost of the dog on the ferry was €70 return but only because we paid for 2 adults & a 6m vehicle with a total cost of €1330 return. We’ve got a few photos of the deck kennels etc so could email some if of use ? 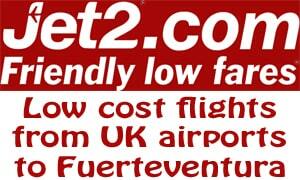 Alternatively we do the return journey to Cadiz at the end of March so could take a few more. Hi John, If you could email a couple to me I can include them in the blog, with a credit of course. [email protected] – Thanks. Hi Carlene, No you don’t need to take a citizens test or anything like that (assuming you are already an EU citizen). Finding a rental property, particularly that will allow a dog, may be a little difficult as long-term rental properties are in demand at the moment. That depends on which areas of the island you want to live though as it is easier in the south than the north at the moment I think. Obviously you will find getting work easier if you can speak Spanish, or at least some. I am coming to live in Fuerteventura, I have a job lined up & have found accommodation that allows pets ( which is virtually impossible these days) I obviously want to being my own rescis dog over with me. He is a Staff cross & I am getting different advice over in Fuerteventura & the UK. I know that he is on the Dangerous Dogs List over in Fuerteventura & that he may have to be muzzled & on a lead but I’m being told that he has to have an aggression test & I have to have a psychological test & a Police check ? Also my main fear is when I return back to the UK there is some doubt as to whether he’ll be allowed back into the U.K. ? Which I cannot let happen as I don’t want to take him out there only to find out when I’m there I can’t bring him back ? Hi Gerald. It is true that you will have to obtain a PPP license. I will get back to you by email after I have checked a few things out. What a beautiful island, it’s a shame that the dog fouling let’s it down. The authorities need to jump on this. There are laws about it as well as all dogs needing to be chipped etc but unfortunately these laws don’t seem to apply to locals. Are dogs allowed on buses in F please? I am not sure. I must admit I have never seen one on a bus. I wouldn’t even mention the dog to the car hire company. If I hired a car I would carry whatever I wanted in it. My husband and I are looking at coming to Fuerteventura in a few weeks and we would love to bring our dog, are there any good beaches to take our dog that my Husband would be able to surf at? 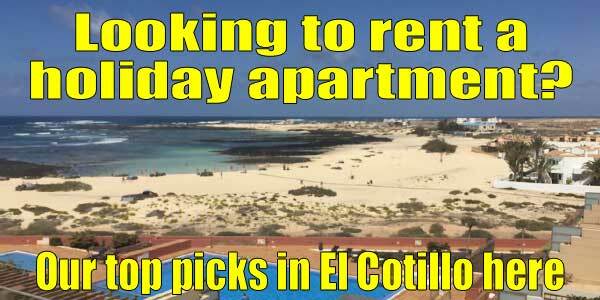 Do you know if dogs are allowed on the Island and the ferry to Los Lobos? We have found flights and accommodation but it seems dogs are not welcomed with open arms on the island. Hi Kate, I think bringing you dogs here for a few weeks holiday is probably rather impractical. You will certainly struggle to find holiday accommodation that will accept dogs. Officially dogs are not permitted on the beaches here, apart from one or two designated dog beaches, which frankly do not deserve the name beach anyway. I have never seen any dogs on Lobos so I would guess that they are not permitted. My advice would be leave your dogs safely at home. Hi Zara. Sorry for the delay in replying. For some reason this comment went into spam! As they are guide dogs you won’t have any problems taking them on the beach. They will be welcome everywhere, just as in Lanzarote. Living in the north, I haven’t used vets in the Jandia area, however there are obviously vets in the area. This one is in Costa Calma – https://centroveterinariosur.com/ and this one in Morro Jable – http://www.cvjandia.es/ If I can help further then drop me an email to [email protected] Have a great time.